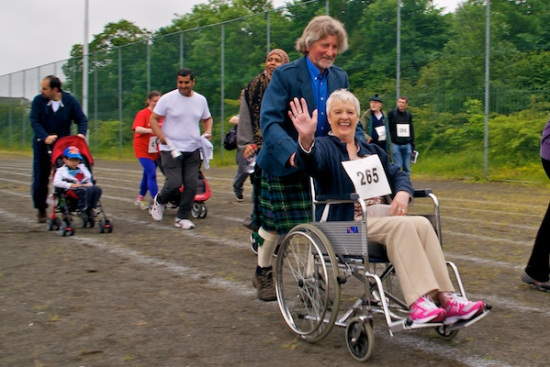 The 2014 Wester Hailes Fun Run/ Walk was all about the fun of taking part. Serious runners lined up with families, children in buggies, fancy dress runners and those who planned to walk round. 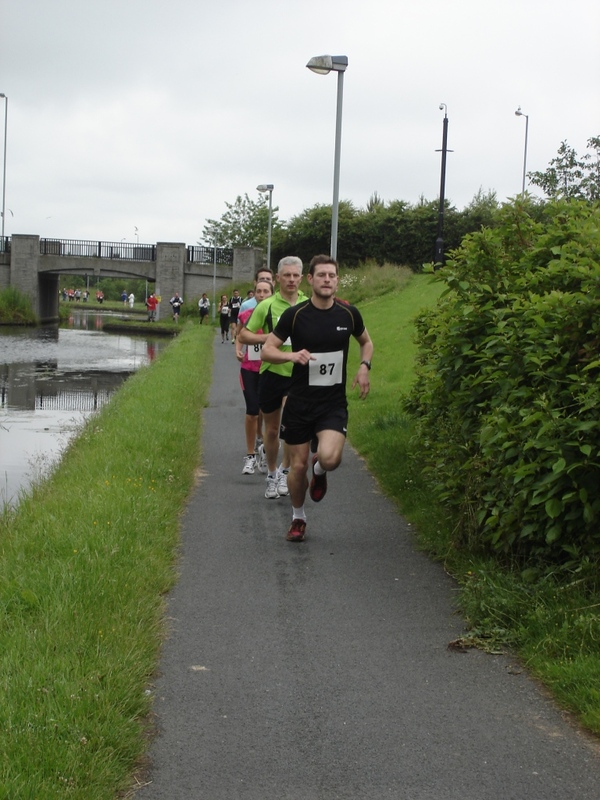 A new route took everyone along the canal, as well as starting and finishing at the WHEC. The Lord Provost welcomed everyone to the day before taking off his chain and joining the competitors! Chloe Hynd, winner of the Edinburgh Libraries Baton competition got the race underway with a wave of her winning baton. 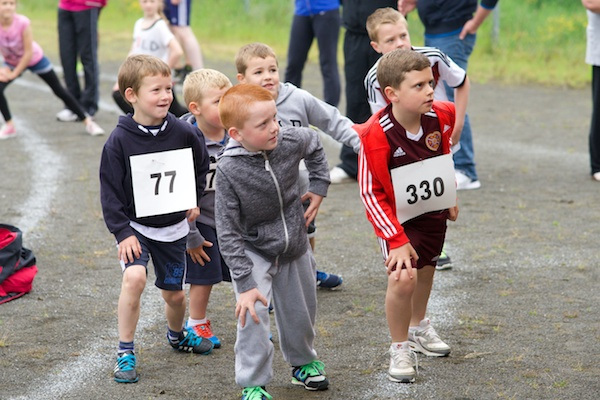 The Fun Run is organised by a group of local organisations including Prospect Community Housing, Wester Hailes Community Council, CHAI, The Health Agency, SCOREscotland, KCYC Youth Club, WHEC, Clovenstone Community Centre and Police Scotland. Many thanks as well to the Pentlands Neighbourhood Partnership and the Wester Hailes Land And Property Trust whose funding supported the event so generously. The original Wester Hailes Fun Run took place during the 1980s and 1990s. It was a very popular event attracting serious runners but also those who were more interested in the fun element. It eventually stopped in the mid 1990s and was sadly missed in the area. After being highlighted as a great way to bring the local community together, it was decided by a group of local organisations and residents to bring back the fun run to see if the great community spirit of the original event could be passed on to the present. The Digital Sentinel put together some great videos of the 2014 Fun Run which show how much of a community celebration it was. The one below shows everyone warming up before the run. You can see the other videos and photos at The Digitial Sentinel’s site. This year, thanks to support from the WHEC, people taking part were timed. 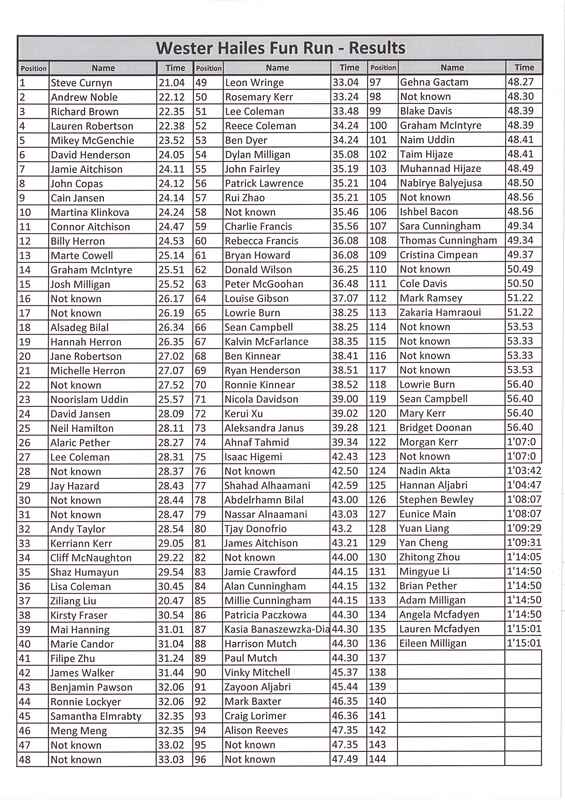 If you were part of the event, see if you can find your time below! Either click on the link or check out the chart. It’s the first year of trying this, so the Planning Group hope that the times recorded match what you think you achieved. For those who couldn’t be identified, there will need to be a reminder next year to wear your number on your front, or just to remember to wear your number at all! Categories: people, photographs | Tags: celebration, community, sport, Wester Hailes | Permalink. Whilst the Sentinel was a community newspaper focused on local issues and neighbourhood news, it also had an impressive capacity to look beyond the immediate area at major national and international issues. People in Wester Hailes were encouraged not only to know about what was happening in the wider world, but also to understand how their views and actions could affect people living thousands of miles away. 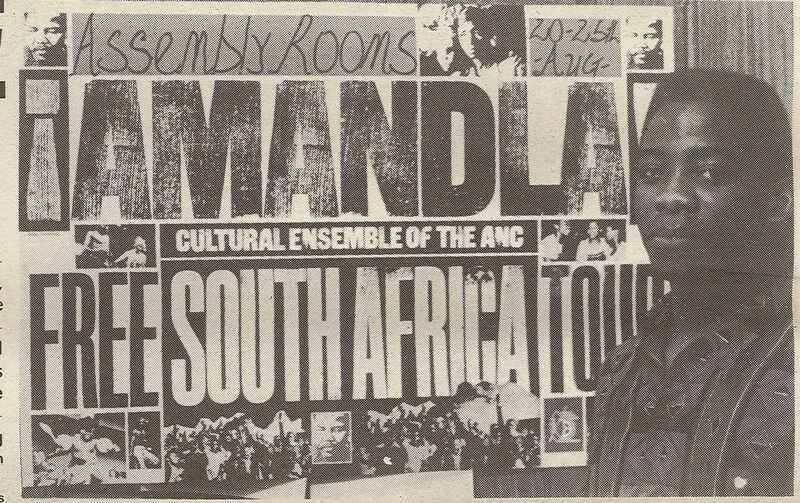 In the week when the world gathered to mark the passing of Nelson Mandela, it seems fitting to highlight the efforts the Sentinel made to highlight the struggle against apartheid in South Africa. In July 1985 it carried an interview with Donald Kitson who had just been released after 20 years in prison where he had been jailed for his political activities against the regime. He discussed the power sanctions had in affecting the existing regime and highlighted efforts being made by shop assistants in Dublin who had gone on strike after refusing to handle South African goods. You can read the article in full here. In October 1985, the paper published an extensive interview with Dali Tambo, son of Oliver Tambo who was the president of the ANC at the time. He brought a clear message to the people of Wester Hailes, asking for their support and explaining how their actions could make a real difference. He asked local residents to support sanctions and to lobby their local MP to ask for their support. The Sentinel re-iterated these comments, pointing out that “We all must play a part”. You can read the interview in full here. Categories: history | Tags: community, politics, protest, Wester Hailes | Permalink. Don McCullin the renowned photographer called this week for more photographers to chronicle Britain. Although best known for his war photography, McCullin spoke with conviction of the need to highlight life in local communities, both the positive and the problems faced by those living in the most deprived areas saying it was a way of promoting understanding and bringing a community together. His first ever published photograph was “The Guv’nors”, a 1950s gang standing in a burned out building from his neighbourhood around Finsbury Park in London. The ability to record many different aspects of local life in Wester Hailes was one of the real strengths of the Sentinel newspaper and contributed to developing a sense of community. 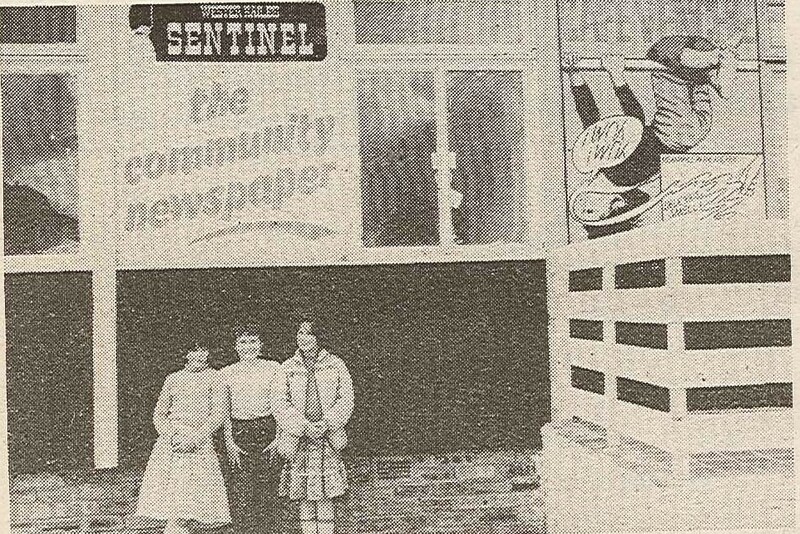 In 1977 the Sentinel’s first issue was sold for 5p and provided coverage of local activities and news about various tenants’ campaigns. A committee of local residents was quickly formed to take over the running of the paper, deciding both content and format. Although keen to show a different side to Wester Hailes in an effort to combat negative portrayals in other news sources, the paper never shied away from the reality of the issues facing people in the area. Difficult and controversial subjects including drugs, AIDS, crime and vandalism were covered. But some of the huge challenges facing people living in the area were also highlighted: unemployment, poorly built housing, a lack of infrastructure, and disinterested authorities. Often the paper took a campaigning role, mobilising protest efforts and calling officials and representatives to account. And it recorded the detail of life in the area: local meetings, events, activities, creating an archive of memories. All this detailed content provides a complex and insightful depiction of a community over the years that both celebrates its achievements and reflects on the journey taken. Photographs played a major role in this process and from the beginning, images of the area and the people living there were an important feature of the paper. Photos were often used as a way of rallying residents over an issue for example images of building faults to highlight a campaign for improvements, or photos of local protests and demonstrations. Photographs taken of the demolitions and rebuilding in the area, the redevelopment of the canal, the creation of green spaces showed the dramatic regeneration changes taking place. 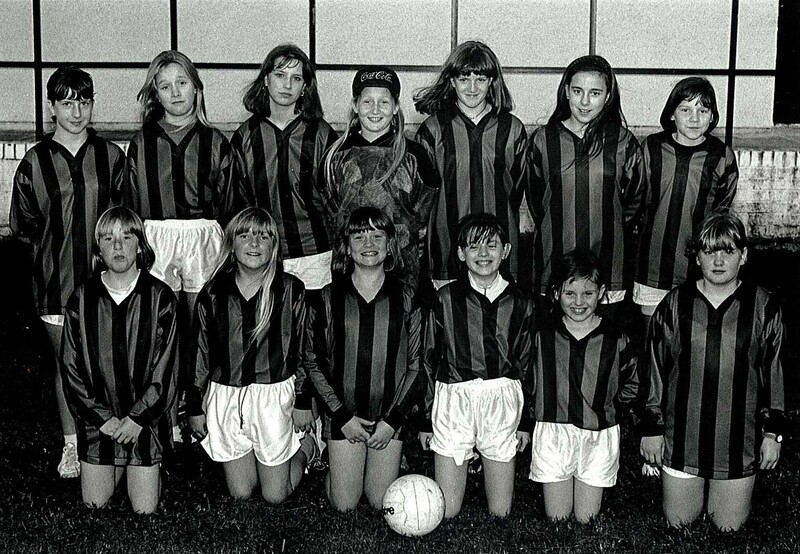 Equally important were photos capturing everyday life, local events and activities such as carnival days and the fun run, photos of football teams, dance troupes etc. Many people still remember having their photo taken by the Sentinel and the photos that are uploaded to the From There To Here Facebook page each week often attract comments and memories. If the original Sentinel was being set up today, it would not be looking at print as its primary medium but would instead be looking at the potential of online production, both in terms of economic savings but also level of outreach. The new Digital Sentinel was formally launched in October this year as a community news website for Wester Hailes. A group of local organisations and individuals put together the idea, based on using the ethos of the old Sentinel through a new digital format that takes advantage of the range of social media people now use. Regular training sessions are now being held for local residents who are training to be citizen journalists and who are creating content for the site. They are reporting on news, opinions and events relevant to the people living in the area using a variety of media including photographs, You Tube clips, Twitter and Facebook. 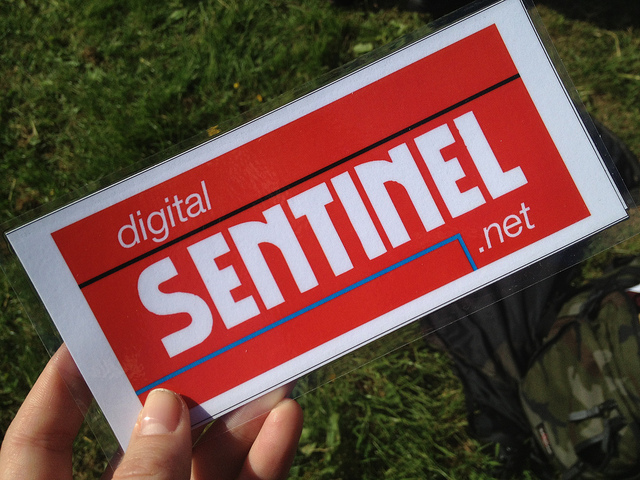 If you live locally and would like to be involved or have an idea for a story, they want to hear from you and you can contact them on contact@digitalsentinel.net, or for submitting a story/ event etc. – submit@digitalsentinel.net. Categories: history, newspaper | Tags: community, groups, news, Wester Hailes | Permalink. 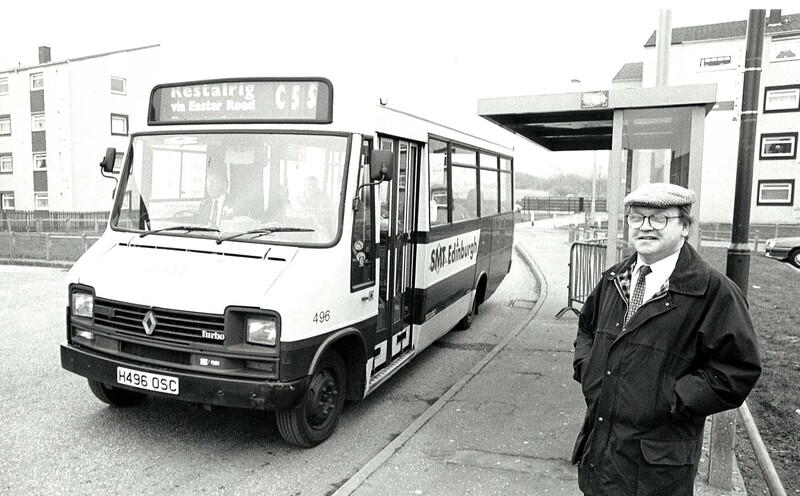 Public transport is one of the issues re-appearing in the Sentinel across the years, demonstrating its continuing priority for people living in Wester Hailes. Pictures of local buses put up on the Facebook page always attract comment as people document memories and stories associated with bus travel. The sprinter buses in particular are remembered with fondness! But the popularity of the images also points to the fact that for many people in the area, buses were their only source of transport. Local interest in bus routes and timetables remained high, leading to Sentinel coverage whenever a route was introduced or altered or when a route was stopped. In 1993 Hailesland East Neighbourhood Council organised a public meeting to discuss and debate the bus service or lack of bus service for the Hailesland/ Murrayburn/ Dumbryden area. They were keen to lobby their local Regional Councillors to try to get the 30 route re-instated as was reported here. 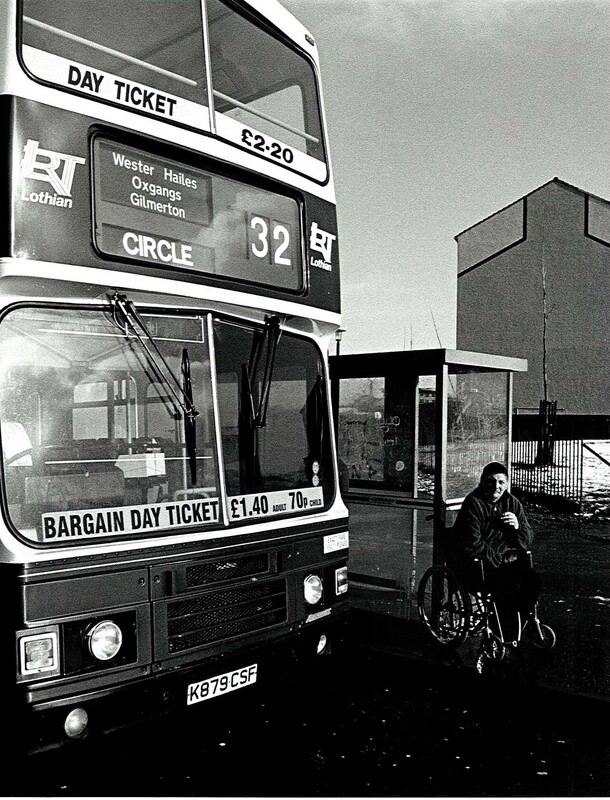 Later on that year, the Sentinel highlighted that in the blaze of publicity surrounding the new multi million pound Gyle Shopping Centre, there had been little consideration given to how residents from Wester Hailes would get there if they used public transport. This was of particular concern to people who had managed to get jobs at the new site. In 2000, First Bus withdrew their popular C5 service, leading to a reduced service for Clovenstone. The Sentinel report highlighted the difficulties this caused, particularly for residents who found it difficult to walk to routes and stops further away, or the other side of busy roads. Bus services into the city centre have improved over the years with frequent timetables and weekend and late night provision. However, the issue of travelling round the area, or travelling to other neighbouring communities remains more problematic. The community has had to fight to retain services such as the 18 and the 20, enabling access to the Gyle, Asda and the Royal Infirmary. Now the community council is concerned that the public transport links to the new Healthy Living Centre, due to open next month, will not be suitable for people who find walking difficult. It is frustrating that despite all the years of campaigning for better public transport routes, the local community is still not included in decision making processes when designs are being considered for this aspect. If they had been, they would have been able to point out that the 30 whilst running near to the centre does not have stops close enough for people with limited walking ability, particularly if you are on the out of city route. The community council has therefore organised a special meeting to look at this issue and to see if a proper solution can be implemented to ensure that the new centre is fully inclusive. The meeting is on Wednesday 14th August 6pm at the Wester Hailes Library. Representatives from Lothian Buses and councillors will be there. Categories: newspaper, people | Tags: community, protest, transport, Wester Hailes | Permalink. With the sun shining and soaring temperatures, people want to be outside whenever possible to enjoy the weather, and to catch a cool breeze if it’s all feeling a bit too much for a Scottish summer! In an area where many people don’t have their own garden or access to a communal garden, having areas of green space that can be used and enjoyed is of great importance. In the mid- 1960s when plans for Wester Hailes were being drawn up, it is clear that in the early stages, green space was an integral part of the design, with open planted areas and pathways lined by trees. However these plans never made it off the drawing board, and the main open space provided was the famously vast car park deserts surrounding the new high rise blocks. Over the years, great efforts were made to increase green space and to break up the concrete with grass, trees and planting. The schools played an important role, with children taking part in planting projects. This was sometimes to improve the area within the school playground such as the wildlife garden planted by children at Clovenstone Primary School in 1991. But schools were also involved in wider planting schemes to improve local areas. One hundred children from Dumbryden Primary School planted 100 plants in Dumbryden Grove as part of a series of environmental improvements carried out there. The appointment of an Environmental Ranger for the area helped boost the profile of local environmental issues, and the Ranger had a regular column in the Sentinel. After a year in post, he listed some of the new activities and groups with a focus on improving the environment. Later that year he wrote about the importance of green space, and listed some of the nearest green spaces within walking distance of Wester Hailes. There has recently been disquiet in Wester Hailes over what some see as a new tarmacking policy being implemented in the area to reduce the need to maintain grass and bushy plants due to budget cuts. Residents have mixed views but it is perhaps not much of a choice to be offered either overgrown untended bushes or an area of tarmac. You can read about a recent campaign and its results here. After an intensive planting scheme had been carried out in the early 1990s, the Ranger detailed in the Sentinel some of the benefits this planting brought to the people living there, to the community as a whole, and to the environment. Categories: newspaper, people | Tags: community, environment, Wester Hailes, young people | Permalink. The City Of Edinburgh Council announced this week that it is planning to give the Calders area a £500,000 makeover. Work will include improving pavements, fencing, boundary walls and installing a new children’s play area. The revamp project is due to start in November this year and be completed by Spring 2014. 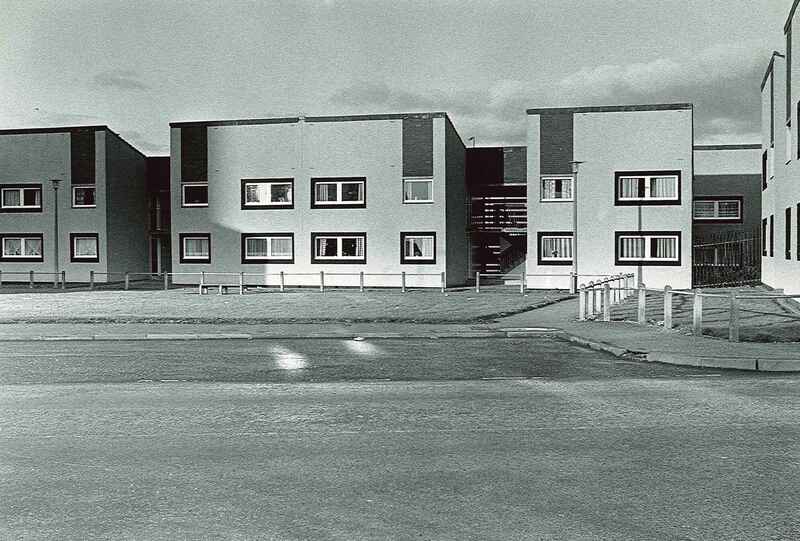 The Calders as a housing area was developed earlier than the rest of Wester Hailes with 537 pre-fab homes being constructed in 1956. However Edinburgh was facing a housing crisis as it sought to tackle appalling living standards in its tenements, many of which were now only fit for demolition. Building new homes seemed the obvious answer, but there was a lack of suitable land, and the council of the day turned its attention to the land being occupied by low density pre-fabs. Edinburgh had 4,000 of these, the highest number of any city in Scotland, and planners estimated that they could fit 10,000 new homes where the pre-fabs stood. Despite strong objections from those living in the pre-fabs, they were cleared to make way for higher density housing, including high rise blocks to provide 1,300 homes. In view of the difficulties which tenants experience in transferring out of high rise block, “appropriate housing” becoming available could take some time. The council instigated improvements over the years, but these were still not always designed around the needs of the tenants. In 1986 the Sentinel reported on the plight of a mother living in Cobbinshawe House who was struggling to get her pram through the block’s doors. The sliding doors had been replaced after vandalism, but the new doors were now too heavy to hold open whilst pushing a pram. You can read the story in full here. Whilst residents of the Calders faced difficult living conditions, community activity was strong. 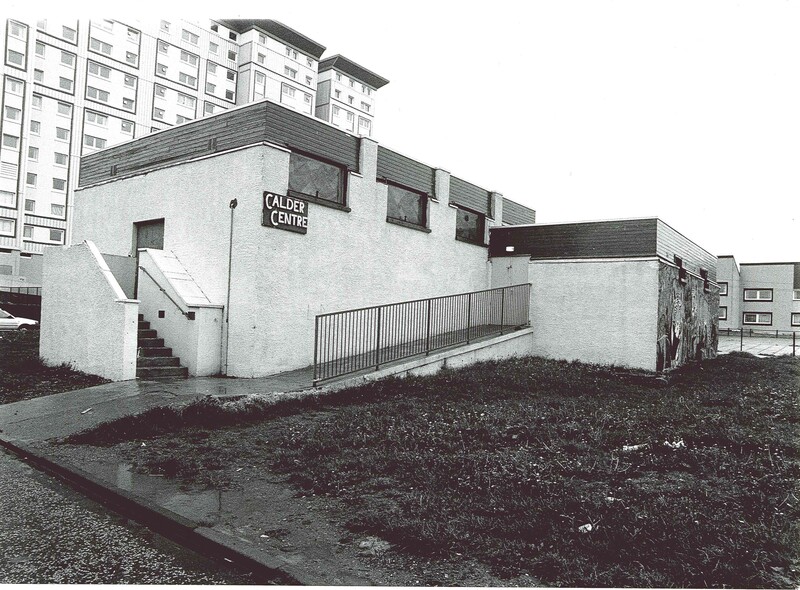 Although Calders was not always included in initial local community structures, by the time the Representative Council was established, it was part of this key body. In 1979 and 1980, much of local activity focus for the Calders was around the Outer City Bypass proposals. 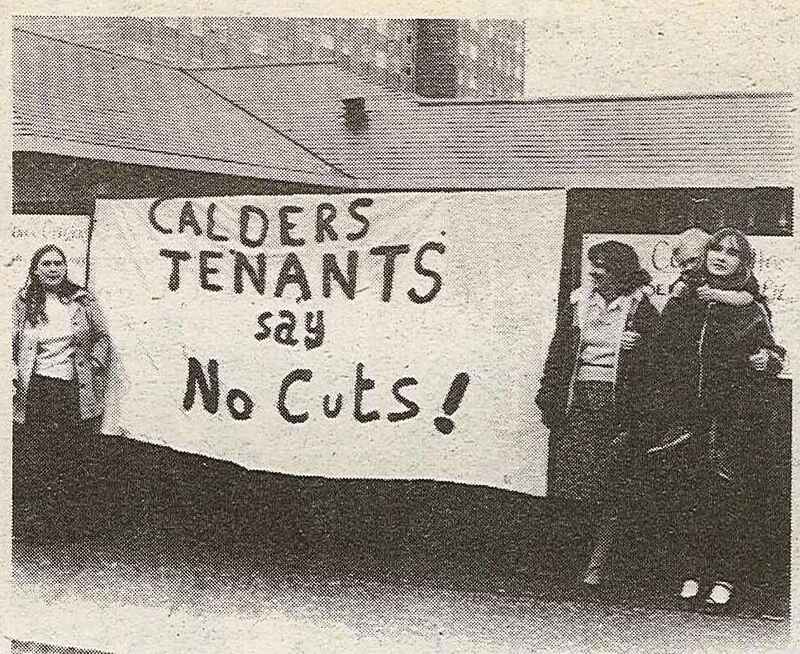 But the tenants association also dealt with a range of other issues as can be seen in the Sentinel’s February 1980 Around The Areas Report. 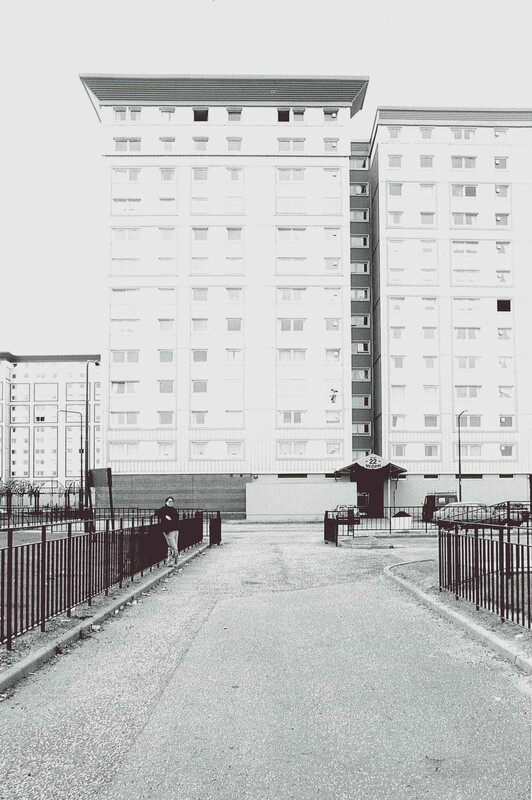 Neighbourhood councils were formed to represent the different areas within Calders and in 1991, it was reported that the Calders Court and Gardens was the first low rise housing area in the Calders to establish a neighbourhood council. It is therefore great news for the Calders not only to have this investment announced but also to know that residents in the area are continuing to invest in their area through campaigning and community events. The Calders Residents Association recently organised a Summer Fete for the area and you can find out more about them here. Categories: newspaper, people | Tags: community, people, regeneration, Wester Hailes | Permalink. When Lord Freud commented this week that there was no causal link between the rise in food banks and recent benefit changes, he used the argument that when you provide something for free, there will be an almost “infinite demand”. His background and lifestyle don’t immediately suggest that he has had much experience of food banks, but he was insistent that no proof existed to connect the sharp rise in referrals to food banks with the recent introduction of welfare reform. The DWP has acknowledged that Jobcentre Plus staff are now referring some clients to food banks, so they might be in a good position to advise the Work and Pensions minister what circumstances would lead to this uptake of food bank services. The idea that if you offer something like food for free, there will always be a demand for it seems on the surface to be persuasive. But perhaps Lord Freud should have looked back a few years before sounding so definite. Back in the 1980s, the UK Conservative Government of the day became involved in the distribution of EEC surplus butter, cheese and meat. 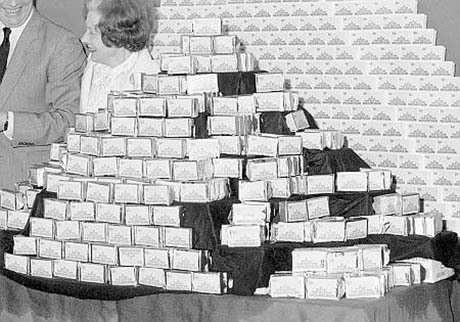 The EEC’s Common Agricultural Policy had led to food surpluses being created, generating controversy over piled high mountains of butter, milk lakes etc. The EEC agreed that this surplus should be reduced through redistribution to disadvantaged and vulnerable groups. The Conservative administration was initially reluctant to allow this to happen, saying it would have a detrimental economic effect. However, after an extremely cold winter it recognised the negative impact of being seen to refuse distribution and agreed the aid measures. The Government kept a deliberate distance from the distribution, putting the onus on charities to carry out this work, a task that was difficult for them to refuse. Charities were also left the job of publicising the scheme, and the decision making on who was eligible to receive the food. This led to variances between areas, with some charities being stretched to the limit by the extra demand on their resources and budget and eligibility differing from one part of the country to another. Queues outside distribution centres were a common sight. Whilst a few people worked out that the lack of a central plan meant it was possible to visit more than one centre, many others felt a sense of stigma. The food may have been free, but for them accessing it came at too great a price. Others queued but felt devalued by the process. Wester Hailes took a different approach to the situation. 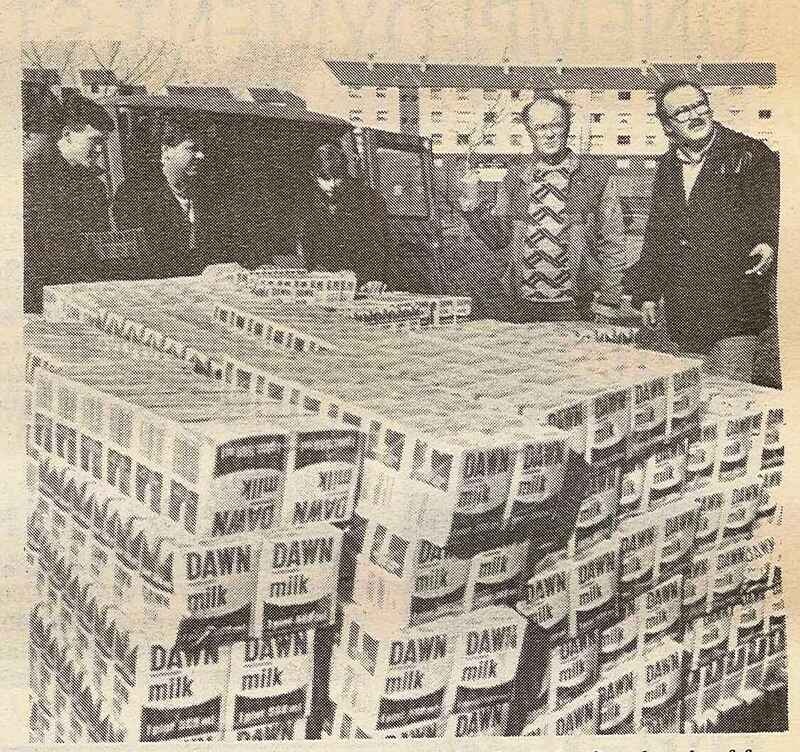 In 1987, the Salvation Army had taken delivery of 300 tonnes of free butter and some of this was earmarked for Wester Hailes. The local community had recently shown how effective it was at organising support through the Snowline campaign, leading to the Salvation Army asking Snowline to co-ordinate distribution efforts locally. The Snowline organisers decided that everyone in the community should receive a share, and that they would deliver the butter door to door to make sure everyone got enough. The Sentinel promoted the campaign, making sure everyone knew they were eligible for the scheme. 16 tonnes of butter and 12 tonnes of cheese were distributed by a team of local volunteers. When challenged over their interpretation of need extending to everyone, the team pointed out that they were following government guidelines and that it was the government who had designated Wester Hailes as a multi deprived area. You can read more about the distribution process here. The door to door delivery and the equality of distribution took away any stigma and made sure that everyone received their entitlement. And it was presented as an entitlement rather than a hand-out. The Common Agricultural Policy had kept food prices high with those on a lower income being particularly affected by the cost of basic food stuffs. It could be argued that they had already paid for the small EEC surplus they received through the scheme. Categories: history, newspaper | Tags: Activism, community, protest, Wester Hailes | Permalink.